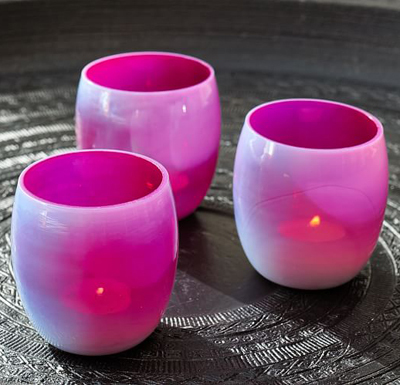 Softly colored Milk Glass Round Votives as dreamy as a summer day will bring seasonal warmth all year long. Made of blown glass with a hand-etched pattern. $9.50. Buy here.